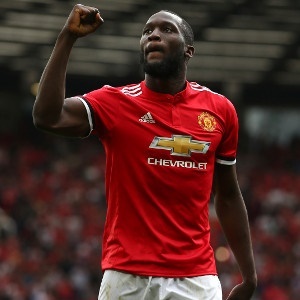 London - Romelu Lukaku has asked Manchester United fans to "move on" from their controversial chant about the Belgium striker. "Great backing since I joined #MUFC," he was quoted as saying on United's official Twitter account. "Fans have meant well with their songs but let's move on together. #RespectEachOther"
United contacted relevant bodies to see whether the song could be categorised as racism by the letter of the law, while saying in a statement they have a "zero tolerance towards all forms of discrimination". The club posted on social media ahead of Wednesday's League Cup win over Burton Albion -- in which Lukaku was an unused substitute -- that "action will be taken against any offensive behaviour", reminding supporters of the club's commitment to racial harmony. We remind fans of our commitment to ensuring Old Trafford remains inclusive for all. Action will be taken against any offensive behaviour.